marketing and business communication needs. We make it easy to navigate the paperwork and regulatory issues you may face when setting up and managing a short code and provide the support you need via email and phone. We also offer a fast track program which can get you up and running with a dedicated short code in a fraction of the time of the standard 8-12 weeks. 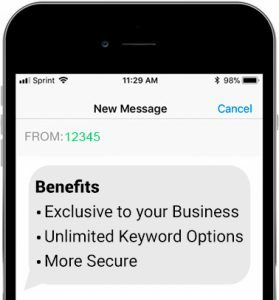 Mission Mobile helps eliminate the complexity of ordering and setting up your dedicated short codes for you. 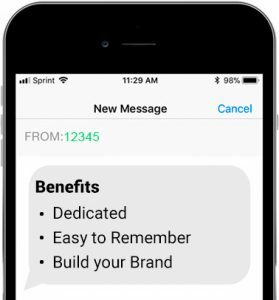 Whether you are a marketer or need a dedicated short code for transactional type messages Mission Mobile will help you complete all the necessary paperwork to get your short code set up in the quickest time possible and at competitive rates. 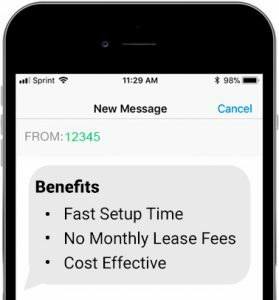 If your business use case doesn’t require a dedicated short code then we can help set you up with a shared short code at a fraction of the cost. We can help set up your campaign with multiple keywords for tracking purposes and provide the reporting you need. Vanity short codes enable you to pick out your own custom 5 or 6 digit number, subject to availability. With a vanity short code you open up a number of marketing and branding opportunities for your communication needs.